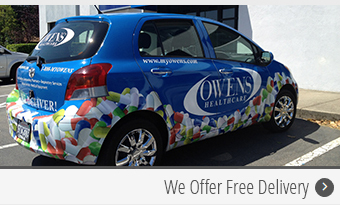 Try the Owens App for prescription refill requests and medication reminders! The App is free and available to use right now! 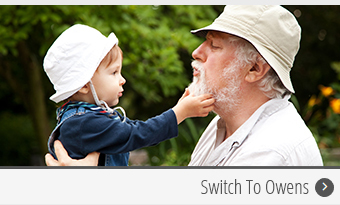 Step 1: Download the Owens Healthcare App from the App Store. Step 2: Select your pharmacy and create your profile. Step 3: Save your profile and start using the App. Arrange for quick refills for all of your prescriptions — either by entering your prescription information or simply scanning the barcode on your medication. 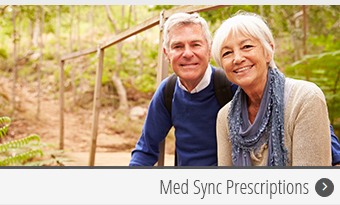 Set up daily, weekly, or monthly reminders to make sure your medications are taken at the right time. Find an Owens location near you. 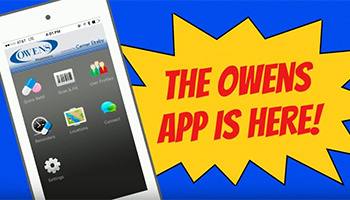 Watch the helpful video below for more information about how to download and use the Owens Healthcare App! Call our App Helpline at 1-800-MYOWENS for free and fast assistance.